Menopause weight loss can be SO frustrating. It just doesn't work the same way it does for 20-year olds! Because what causes weight gain during menopause is not just eating more calories and burning less calories... And this is especially true for menopause weight gain around the middle. In fact, typical weight loss strategies like eating less and exercising more can put the brain on red alert/starvation mode, and if this happens it sends out the message to pack on the pounds. A much easier way to lose weight in menopause is to put calories on the back burner and instead take advantage of metabolism, brain chemistry, and hormones. Avoid sending out signals that tell the brain "red alert/starvation mode"
All this will make it easier to lose weight (and avoid gaining weight) during and after menopause. This is the menopause diet plan everyone should know about. It turns out the best ways to achieve menopause weight loss - i.e. the perfect menopause diet - doesn't even feel like dieting! The best diet for menopause (and after menopause) includes eating more, eating enough healthy fats, and getting enough sleep. It turns out these are the most effective and easiest ways to turn the tide and allow the body to find it's healthiest weight without counting calories or going hungry or unsatisfied. Be sure to watch the video for the details on how this healthy menopause diet (that doesn't feel like a diet) works. Download my FREE guide "The Menopausal Woman's Roadmap." Just click the pink button below to get started with my easy-to-follow steps for eating the best foods for menopause (and easier menopause weight loss) each day. Forget eating less and exercising more. You need a new strategy that uses metabolism, brain chemistry, and hormones to lose weight during menopause. Find out how in this short video. Wondering if there’s an easier way to lose weight during & after menopause? Well there is and it's not about eating less or exercising more - it's about your metabolism, your brain chemistry - and your hormones - and that's what we’re talking about in today's video on menopause weight loss - so stick around! . Hi! I’m, Dana LaVoie - an acupuncturist & herbalist, and founder of Menopause Basics - and for 15 years I've been helping women use natural remedies to balance hormones so they can have an easy menopause and feel great afterwards and before we jump right into the easier way to lose weight during & after menopause..
How many of you right now are struggling with to lose weight? Maybe you’ve tried eating less, counting calories, or exercising more, but NOTHING seems to work. If that’s you, you’re going to love this short video. At the end of this training I’m going to invite you to sign up for a FREE copy of my menopausal woman’s ROADMAP so you can learn even more about how to lose weight more easily. I’ll give you more details later, but for now, let’s get started! 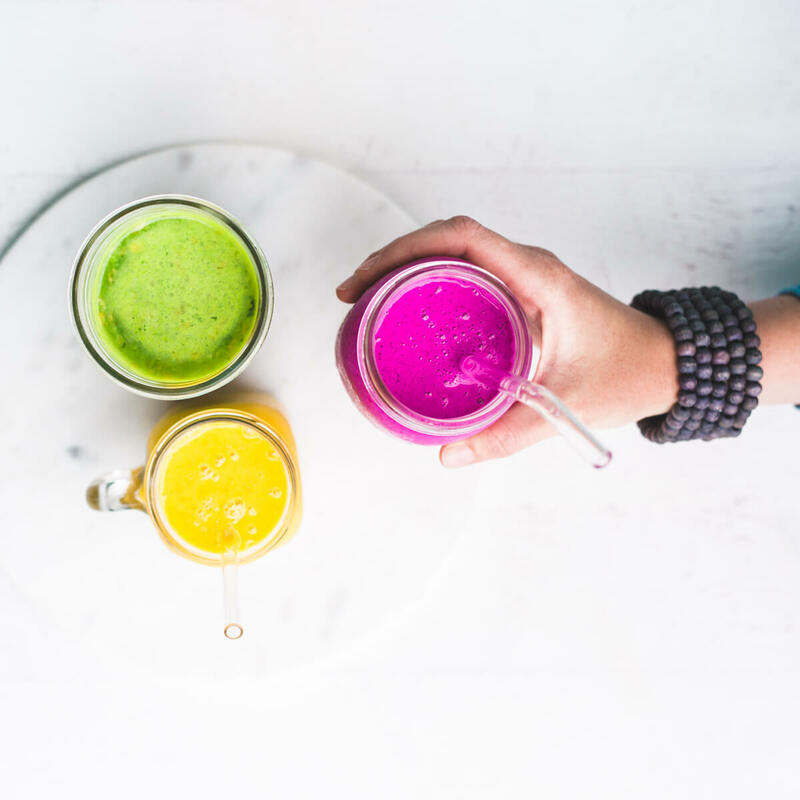 I’ve been working with women in menopause for 15 years now and I’ve noticed that so many women seem to be making the same mistakes when trying to lose weight. You get mad cravings for carbs and sugar (that’s your brain screaming “feed me now” and your brain is telling you to binge. Your brain actually makes carbs taste better to you and your brain sends out cortisol telling your body to store every extra calorie it can -and you're especially gonna store it as belly fat right around your middle and increased cholesterol. and - once you have belly fat - that type of fat tissue produces hormones that make it harder for you to feel full - causes inflammation, and depression and chronic disease. So when you talk about a cycle that you do not want get caught in! This is it right okay. Mistake #1 - you do not want to make is eating too little or eating too seldom. enough fat in your diet helps decrease sugar cravings - really decrease them - so you stay away from sugar, enough fat helps keeps you full,it helps stabilize your blood sugar - and fat is one of the MAIN building blocks for hormones and brain chemicals. Dietitian Cassie who specializes in helping women who have serious trouble losing weight says eating too little fat is one of the top 3 reasons that diets fail. - and can I just pause here for a moment - this is great news?? because eating a diet high in healthy fats is delicious and satisfying - so let's give little cheer for mistake #2 - not eating enough fat is a mistake. You’re not getting enough sleep. It's been shown in studies over and over that getting enough sleep helps you lose weight and we’re talking probably - 7 - 9 hours are ideal- 6-9 hours. getting enough sleep helps you eat less because of the way it changes your hormones (specifically the hunger regulating hormone that controls appetite) studies find that women who sleep 7-9 hours/night, not less or too much more, weigh less overall AND studies seem to show that when women get that optimal amount of sleep that 7-9 hours.. I'm going to put a link below this video to another video i have on how to get more sleep during menopause if you’re suffering with insomnia. #1 - not eating enough - or not eating often enough - which causes your brain to send out a red alert and put your body in starvation mode..
#2 - you’re not eating enough healthy fat!! (I'm linking below to my recipe for coconut oil fudge - one of my fav ways to get more healthy fat that is just so delicious..
#3 you’re not getting enough sleep. If you enjoyed this video, and want to get started using these techniques.. then I invite you to click the link below and sign up for your free copy of my menopausal woman’s roadmap. This free download will give you 5 easy to follow steps on what to eat every day and more..
Im also linking below to a 4-part blog series I wrote on why diets fail and how to lose weight during & after menopause with the elements of successful diets and exclusive top tips from experts like JJ Virgin, there’s great stuff in there. I am also the host of a Facebook group- Menopause Basics- and I’ll leave a link in the comments so you can join because all the best discussions about this videos happen in the group- so if you have questions or want to keep this conversation going - just hop on in there and tag me so I'll see you soon! I’m Dana LaVoie - acupuncturist, herbalist, & founder of menopause basics - - and thank you so much for watching today - I’ll see you next time.